Two brothers are forced to confront a terrible crime that was hidden in their past. What are you willing to give up for the truth? Some reviews on this board don't do justice to this film. Sometimes I wonder why some "critics" go so hard on indie films, but give passing grades to mainstream Hollywood garbage. 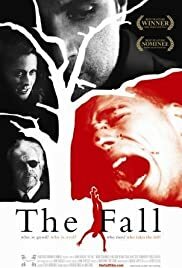 "The Fall" is not "The Godfather" nor "The Room". In other words, the film is not brilliant, but neither is a traumatizing event as another reviewer on this board would have you believe. It's true that the lead actor is weak, there are some plot-holes and director John Krueger is clearly an amateur, however the story is interesting, the rest of the cast is quite good, and the cinematography is very glossy and moody. Erica Shaffer and Benny Ciaramello gave really good performances here. There are several great dramatic scenes and a few bizarre ones that were obviously meant to be surreal. Overall I liked this film and I would like to read more reviews on this board to see other people's thoughts.